We’ve come a long way since the days when the internet was merely a finite series of connection between corporate and military mainframe computers. Today, a pocket calculator has more computing power than the machines of that period, and yet, it is so easy to forget how far we’ve come in so little time. Take a step back into the past with us, as we show a brief history of how we connect to the internet, from the age of the mainframes to the modern era. In 1958, the first modem was created by AT&T to enable teletype operators to communicate the contents of their input to a printer at a remote location. It used a phone line to connect the two machines, and transmitted data at the mind-numbing speed (by today’s standards) of 110 bps). In 1962, the first modem available to everyday business consumers, the Bell 103 data phone came out, enabling amateur radio enthusiasts to carry their craft on unreliable connections, as well as making the first electric typewriter/printer combos possible. This device had quickly doubled transmission speeds, as it trucked along at 300 bps. 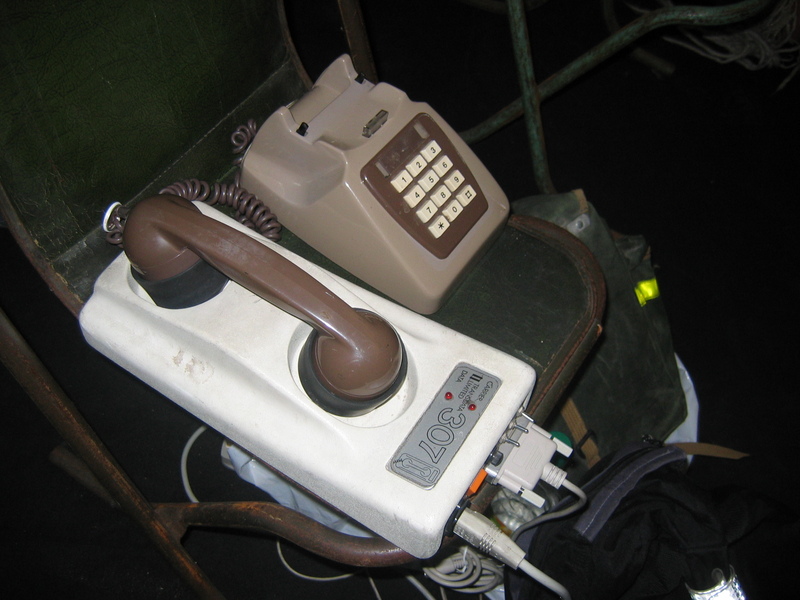 After the Carterfone court decision in the late 1960’s broke AT&T’s monopoly on modem technology, countless operators began to toy around with it to produce better versions of the stale Bell 103. In 1977, Dennis C. Hayes and Dale Heatherington produced the 80-103A, which was the first modem that would allow internetworking between personal computers that were being created by IBM and Apple at that point in history. Not content to stop there, they also created the first smartmodem in 1981, which allowed the user to direct the modem to dial or hang up via computer command, rather than manually connecting the modem after manually dialing a specific phone number. This style of modem in the early days had rapidly improved speeds, as the increased demands of software applications of the day had begun to necessitate it. In the early 1980’s, these devices pushed transmission capability to 1200 bps, marking the beginning of the uptick in the exponential curve that has come to define technological advances in internet connectivity today. The rise of IBM in the closing decades of the 20th century drove personal computing into the mainstream, putting these machines in the office cubicles and home dens of countless people around the world. As the 1980’s wore on to its conclusion, transmission speeds of its modems doubled time and again, going from 2400 bps in 1985 to 28,800 bps by 1990. By the mid 1990’s, modem technology had smacked into a formidable obstacle: the upper limit of transmission speeds on phone lines. With modem speeds stagnating at 56,000 bps (56k), the next quantum leap in connection protocol was necessary to keep the rapidly emerged World Wide Web from collapsing under the weight of its exponentially increasing user base. That innovation was the emergence of the cable modem, which sent data through cable wires instead of phone lines. Trialled for the first time by industry giant Viacom in 1994, the first cable modems achieved speeds of up to 10 mbps (10,000 k!) down. Uploads were still horribly slow at 128k, but the exponential dam had broken, and by 2001, the cost of a cable modem had dropped to $120 from $500+ just five years earlier, thus opening the floodgates of the internet onto the world. While the advent of broadband had enabled speeds that now allowed the sharing of music, video and radio across the internet with startling ease, advances in connection technology kept unfolding at ever increasing speeds through the opening decades of the 21st century. Wi-fi connectivity has allowed us to free our laptops (and later, it would enable cell phones to connect to the internet … craziness! ), and the development of 3G and 4G would allow these wireless devices to connect with speeds similar to computers with fixed connections. However, the emergence of fibre optic cable broadband has caused quite the stir in tech circles of late. With minimum speeds of at least 50 mbps, and speeds exceeding well over 100 mbps when a dedicated line is installed to a home or business, movies on Netflix download in seconds rather than minutes, web pages show up in a flash, and gamers will enjoy a crisp playing experience with virtually none of that dreaded lag.